Updated Saturday January 21, 2017 by Robert Dungan. After a successful 2016 campaign, let’s get off to an early start in 2017! 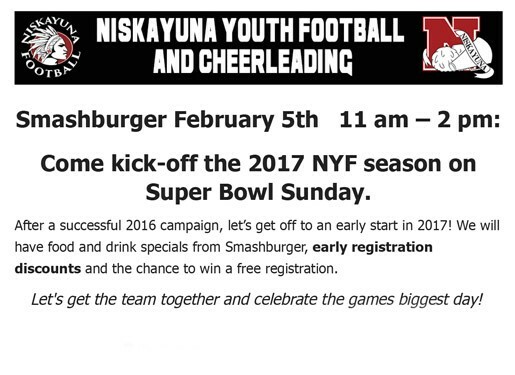 We will have food and drink specials from Smashburger, early registration discounts and the chance to win a free registration. Let's get the team together and celebrate the games biggest day!